Twin Acres Horse Ranch is an established income-producing horse training and boarding facility ready for you to become the new Rancher! 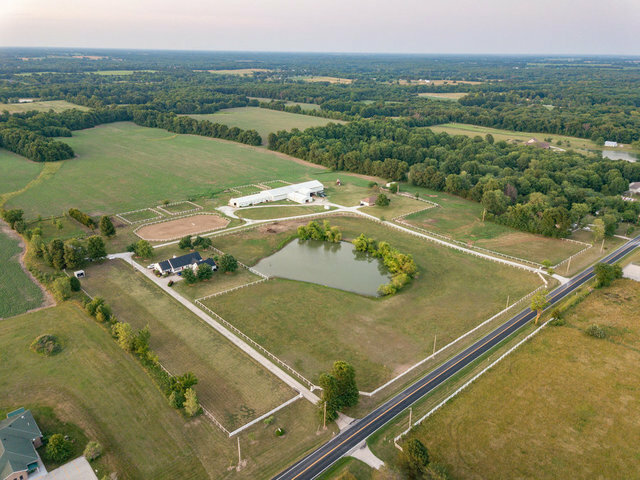 This 60+/- acre turn-key ranch features 2 homes, stable with 24 horse stalls and 10,080 sq ft indoor training arena, outdoor training arenas, pond, and 40 tillable acres, 5 acres of woods, and 15 acres of pasture. This property is located ¼ mile off Hwy 63 on US Route M on blacktop, providing easy access to Moberly, Columbia, and surrounding area. A veterinarian clinic is also conveniently located on adjacent property. Main home is 3 bed/2.5 bath 2,203 sq ft and extra home is 3 bed/2 bath 1,522 sq ft. This facility has trained world-champion American Quarter Horses. Use the 40 tillable acres for hay or income producing crop. Call today for private showing.